Adrienne from Peace of Mom talks about grief and postpartum depression. 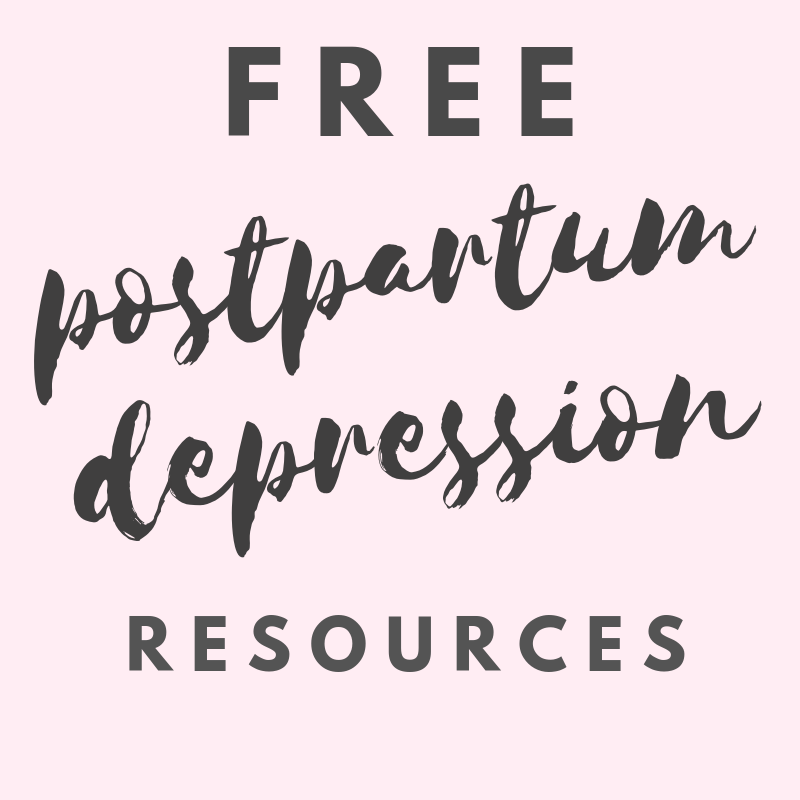 Grief and loss are one of the biggest triggers of depression, not just in postpartum mothers, but for anyone, in any stage of life. Pregnant and postpartum mothers are especially susceptible to depression when tragedy strikes, due to those fluctuating hormone levels. I can relate to Adrienne’s story because I, too, lost my grandfather when I was 6 months pregnant with my third child and suffered a major postpartum depression relapse. As I sat in the hard plastic chair of the pediatrician’s office, looking down at my sleeping two-week-old baby, it came. My mom, proud new grandma that she was, joined me on my daughter’s very first doctor’s visit. We had lovingly dressed her in pink, ruffle-y pajamas with faux ballet shoe feet. I was so proud of myself for leaving the house for the very first time since having her, happy that the spinal headache-an unending migraine I received as a complication from my epidural-was finally subsiding after nearly 12 days of constant pain. My mom was smiling as her cell phone rang, eager to talk to her brother about her brand new little love. “Hello?” she said, ready to gush about her granddaughter’s cuteness. My grandpa was 87 years old. He had a heart attack, alone in his house, sitting up at his kitchen table. Given his age, it doesn’t sound like a shocking proposition-except that grandpa acted like a young man. Just a week before, he climbed a ladder on top of his roof to repair it. His own mother had lived until 101, was actually featured on her 100th birthday on the Today Show. We thought Grandpa was going to live forever. My grandpa was a second father to me, was the person in my life who always made it feel like everything was going to be ok. I was his “Bub”-I never asked him what it meant, because I knew it meant he loved me, and that’s all that mattered. Whenever I needed encouragement, his eyes would twinkle and his lips would curl into a smile. “You can do that,” he would always say. And, because of him, I believed I could. I was lost without him. On the night before his wake, my daughter’s umbilical cord fell off. My breasts leaked all over my blouse on the day of his funeral because I was so new to breastfeeding and didn’t think to pump. One of my mom’s friends held my hands as we stood in front of the coffin and said, “Do you feel like a mother now?” I said yes, but inside I only felt numb; I didn’t feel like a mother at all, which only added to my shame. I wish I could say that the worst ended there, but that’s not true. I was grieving, but I didn’t want to cry in front of my baby, my baby who refused to go down for a nap, who I held as she slept. I was never alone, so I wouldn’t allow myself to cry and let it out. For the first two weeks, my mom had helped me transition into becoming a mother, teaching me all the little things you can never learn in the books. I needed her help so desperately, but after Grandpa died she was grieving herself, and, although she did her best, was mostly unable to help. I was all alone with a colicky baby and a tremendous grief in my heart. My husband worked very long hours, so there would be days I would be alone, for 12 hour days. I had a constant companion in my arms, at my breast, and yet I never felt so alone in my life. If you didn’t have a colic baby, you would never believe this, but it’s true: colic babies sometimes cry all the time. There were days that I couldn’t wait to feed my daughter, just so her mouth was occupied and she wouldn’t scream at the top of her lungs. After a few weeks, I felt like I just couldn’t do it anymore. I felt like I just couldn’t get up another day and do it all over again. I can’t do this, I can’t do this, I can’t do this! became my constant mantra. Thankfully, I did. I already had an excellent therapist and she encouraged me to join a PPD support group. Those meetings were a godsend because women who had survived and triumphed were there too. I learned the most important thing of all for a PPD sufferer: It gets better. In therapy, I worked on learning how to take better care of myself. It took me over a year to learn how to do it and make the time for it, but I learned and I began to triumph too. I learned to enjoy my daughter and my life with her, instead of dreading the days. I learned how to feel like myself again. I learned how to be a better version of myself because I learned how to take care of myself. Now, four years and two kids later, I have begun to devote my time to teaching other mothers what I learned during that time. I started a website called Peace of Mom, which teaches all moms how to take better care of themselves-because self-care saved me.